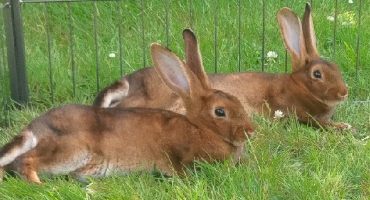 I've already introduced myself briefly but I want to share some photos of my three bonded bunnies! [IMG]/Users/steph/Desktop/B5A3EE71-1E58-4E84-ABB3-10A939DF39A0 2.jpg[/IMG] This is Lily! feel free to ask any questions you may have about them! can you guess which rabbit is which?